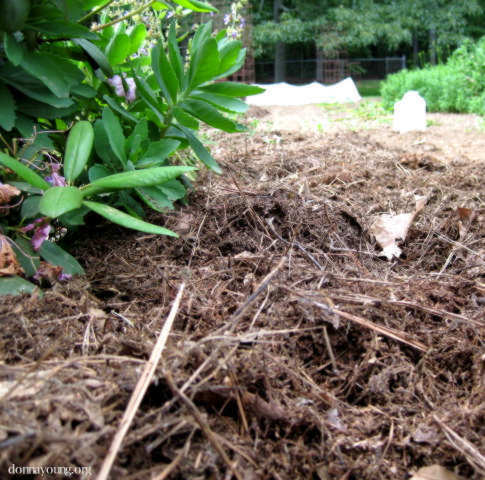 The second source is compost – the large piles of grass clipping and mowed leaves that my husband picks up with his mower’s grass catcher. 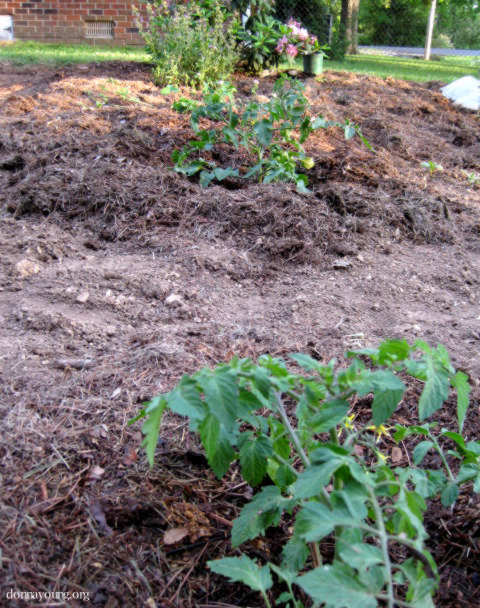 He does not pick up grass clippings all summer, just a few times and that is enough to collect large piles of compost. 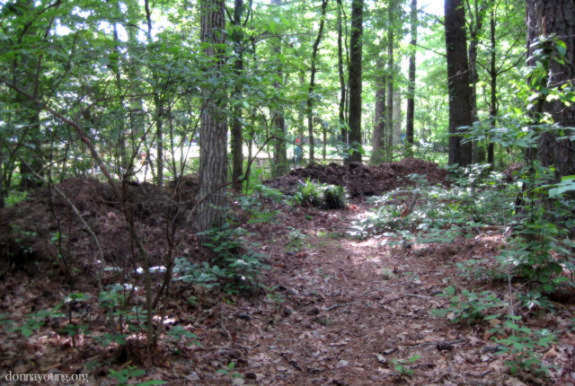 Pictured below are the compost piles in the wooded part of our backyard. It’s a pretty place to work. 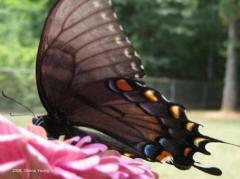 This is the same place (the spindly plant on the left side) where a baby cardinal was sitting in a blueberry bush. Busy beaver, I see the path you’ve worn into your wooded area. Your tomatoes look good and healthy. I think tomatoes are my favorite garden veggie, even though I will seldom eat store-bought tomatoes. I was reading in Mother Earth that the best time to pick off those beastly-looking tomato worms is at night, with a flashlight. Apparently that is when they feast and they are easy to find. Very nice. We have two sections in our compost pile. One is “newly” started, and the other is “older” starter. LOL I’ll be using some of the “older” starter this weekend. I feed our compost daily with kitchen clippings. Sheri I went outside and looked at the plants with a flashlight. 😀 No beastly worms so far. I’ll have to check again in a couple of weeks. Tomatoes are my favorite too and sweet peppers are a close second. Sounds like your garden is going to do well this summer.